GBP 5 Mio. for cheddar cheese sniffer’s nose! When do I need a Public Driving Permit (PDP)? Our re-appointed finance minister, Mr Pravin Gordhan, presented a measured and responsible medium-term budget (MTBPS) in October. He called for fiscal discipline as the country tries to recover from the tough economic position that it finds itself in. GDP growth is estimated at a lower 1.5%, revised from 1.9%. Muted global trade and stagnating commodity prices are hampering economic growth. Inflation is estimated at 6.1%, but in the meanwhile has increased to 6.4%. The budget deficit is to decrease to 3.4% of GDP in 2017. Overall tax revenue is declining. An additional R 17 Bio. has been set aside for students and universities. Gordhan came down hard on State-owned enterprises and has already called for a new board at SAA. Current debt repayments are problematic if GDP growth remains below 2%. Government is going to cut expenditure by R 28 Bio. The number of social grant recipients has ballooned from 2.5 million in 1998 to nearly 17 million today and is set to grow further to 18.1 million by 2019. Introduction of a wealth tax. Increase of estate duty or dividends tax. Increase of the marginal tax rate for high income earners. Increase of the fuel levy, which is currently lower than 2 years ago. It seems that our Finance Minister has averted a rating’s downgrade (for now) by the agencies, provided we have no political shocks. In their assessments of sovereigns, rating agencies consider a country’s institutions, economic scenario, fiscal and debt dynamics, monetary policy and the external environment. If it is assumed that Standard & Poor’s will be happy with the MTBPS 2016, that still leaves the economic scenario and quality of institutions to worry about. Switzerland’s second biggest bank is looking to cut expenses after it raked up an unexpected USD 1 Bio. write-down. The bank has announced that 6000 jobs will be cut this year. The equity analyst positions in Dubai as well as the equity team’s responsibilities in Johannesburg were cancelled. Credit Suisse’s CEO, Tidjane Thiam, announced that he wants to boost profitability by focussing on Asian-led wealth management. The bank is on track with job shedding and another 1200 positions need to be cut by the end of the year. We share the frustration of our clients when a car claim is not paid out or a recovery against a third party is not successful, although it is very clear, that the accident was caused by the third party. An unlicensed driver was behind the wheel. Letting other people drive your car is your choice. But if they’re involved in a crash and it turns out they don’t have a valid driving license, you’re not covered for the cost of the damages. Check your policy if there are age restrictions of who can drive your car or if you have nominated drivers only. One too many after-work drinks. If it comes out that your blood-alcohol level was over the legal limit (0.05%) at the time of the crash, any claim will automatically be rejected. Some insurers will even go that far to say that if you were under the influence of alcohol – which means that the limit in this case is 0% – there will be no cover. Make use of a nominated driver or the concierge services that some insurance companies offer. This can be something quite small, like faulty windscreen wipers that could cause a crash or just one worn tyre on your car. Regularly check your tyres! The car wasn’t inspected when you took out the policy. Before a policy is being issued, some insurance companies have to inspect the car to ensure that it has no existing damage; if that inspection was never done, the insurer will not be able to validate your claim for damages from a subsequent crash. The underwriting manager has announced some small changes to their policy wordings. The changes are enhancements benefiting the policyholder and create more clarity. Please view the policy on MUA’s website http://www.mua.co.za/products and click on personal policy V1 2017. Should you have any questions, please contact our short-term insurance department. Her nose is small, but worth GBP 5 Mio., after Mrs Diane Cox landed the job for sniffing and tasting of cheddar cheese for a leading cheese maker in the UK. Her skills are so valuable that her bosses pay GBP 25’000 every year in premiums to Lloyds of London for insuring her valuable skills. Her job seems very easy, but she has to eat more than a half of kilogram of cheddar at least four days a week. This equates to over 83 kg of cheddar in a year, whereas the national average in the UK is at just less than 12 kg!! If you are residing in South Africa on a seasonal basis and your house is left unoccupied for longer than 60 days, most insurance companies will apply a higher excess if a claim occurs. The reason for the higher excess is a normally larger claim occurring, as the damages are in most cases not immediately detected. Please note that if you have a caretaker / friend visiting your house 2 or 3 times a week to check if everything is ok, this is not to be considered occupied premises. Also a gardener that comes from time to time does not change the situation, as the house needs to be occupied. Should you be involved in an accident without a PDP and guests get injured, you might find yourself without insurance cover! Recent changes to the Sectional Title Schemes Management and Community Schemes Ombud Services Acts have been approved and signed by Government and was published on the 7th of October 2016 in the Government Gazette. The changes will affect Body Corporates, Home Owner’s Associations, Retirement Villages and Share Blocks. One of the most important changes to the Act is the obligation of all Community Schemes to obtain fidelity cover and it is required that this cover extends to the managing agent of the scheme. There is a specific formula in order to calculate the required sum insured. 15. (1) Subject to sub-regulation (5), every community scheme must insure against the loss of money belonging to the community scheme or for which it is responsible, sustained as a result of any act of fraud or dishonesty committed by any insurable person. who in the normal course of the community scheme’s affairs has access to or control over the monies of the community scheme. (b) 25% of the community scheme’s operational budget for its current financial year. The definition of who an insurable person is extremely wide and basically includes any person dealing with the money of the community scheme in any form or nature whatsoever. You can click here to view a summary that was compiled by CIA, a specialist insurer. As part of a global disinvestment strategy, the company announced earlier this year that they would sell the insurance business in South Africa. It was announced late November this year that Fairfax Financial Holdings had bought the business from Zurich. Please click here to read the announcement. The Visa Facilitation Service office of the Department of Home Affairs on Riebeeck Street was closed for a few days in mid-October. There was a dispute with the landlord because VFS had exceeded the number of visitors and caused safety concerns for the building. The Department’s special project for people from Lesotho increased the daily visiting numbers from 300 to 1000. This resulted in a forced closure of the office for a few days. The premises are open again but all collections of permits have been moved to 47 Strand Street until further notice. Further, the VFS website did not allow for any appointments to be made. Persons having to submit extensions within 30 days from arrival were denied access, which could result in some of them being illegal in the country. We recommend to the affected persons to take all necessary documentation to the airport when departing for abroad, in case you have not received your visa extension. In a move to streamline the process of travelling with minors in or out of South Africa, the Department of Home Affairs has done away with two versions of the birth certificate. Previously, an abridged birth certificate was issued to parents for new-borns up until 2013, however since 2014, an unabridged birth certificate was issued to all new-borns, which entails both parent’s details. From Tuesday 1 November 2016, new-borns in South Africa will now receive a birth certificate – a single document which details both their maternal and paternal birth details. There are no longer abridged birth certificates issued. South Africans travelling with minors will still need a birth certificate detailing both parents’ details when travelling in or out of the country. International travellers with children who plan on visiting South Africa from countries who do not automatically provide unabridged birth certificates will have to apply for one well before their departure dates. Travellers who are uncertain about which documents they will need can use their mobile phone or computer’s browser to access the South African Child Visa Checklist app. The web-app determines exactly what the user will need by answering three simple questions, before being able to view a checklist of documents specific to their child-travel scenario in three steps. Our interactions with the South African Consulates or Embassies abroad have increased, because the Act was changed last year that first applications (with a few exceptions) can no longer be lodged in South Africa. An application for permanent residence was declined, as the applicant was told that he has to do this in South Africa – completely the opposite of the current regulations. 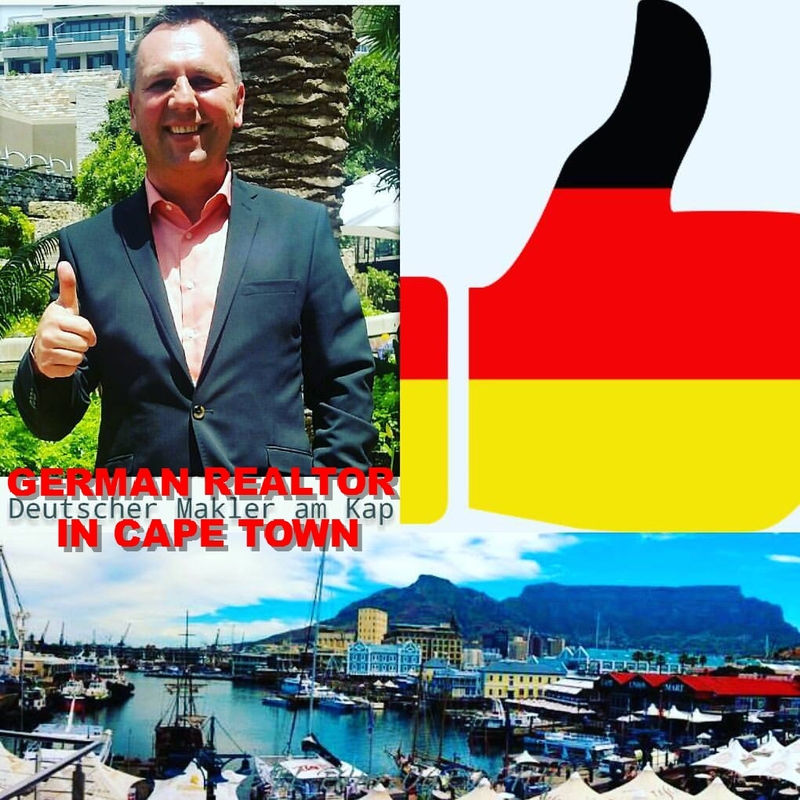 Another applicant was told that he can only submit a permanent residence permit, once he has bought a property in South Africa and has lived there for at least 6 months. It is prescribed that the application forms are completed in black ink, but an application was refused as the officer wanted the form completed in blue ink. Applicants that were ascertained that they should collect the study permit for their children towards the end of the year were now told that this is no longer possible, with no further explanation from the officials. It is not clear if the officials are not sufficiently trained or if they are misinterpreting the Act. We are liaising with the Head Office of the Department but have yet to receive feedback on these issues. The average weighted premium increase is 10.2%, most plans range from 10% to 15%. Co-payments and deductibles have been increased by 10% too. The new Essential Smart plan is launched: It works on a network basis and includes some day-to-day coverage. Discovery Insure is introducing a gap cover product. The maximum entry age is 60 and the premiums are R 100 p.m. for the principal, R 40 for the spouse and R 40 per child. These rates are only for members on Executive and Classic Plans. All other members will pay R 200 p.m. per principal. R 80 for adult dependants and children. The benefit will cease when the member reaches age 65! There is a supplementary gap cover available too, which includes paying a lump sum in the event of severe illness, a premium payment holiday and a home support benefit. These premiums are age related and take into account the smoker status of the member. We have now been informed though that the offering will be put on hold until April 2017. Vitality is introducing the “weigh loss rewards” program. By reaching their goals, members can get up to 50% on their healthy food spend back. Members over the age of 60 are the focus as well as diabetes care. Discounts are available for running shoes through Sportsman’s warehouse and new partners to Vitality are Kauai and Mugg & Bean. Please note that the deadline for plan changes is the 15th December 2016. For more information, please visit www.discovery.co.za. As you may have seen from our e-mail addresses and new signature cards, SwissSure is up and running. There are still some last transition changes which will be implemented over the next weeks. Please do not forget to send us your consent to transfer your short-term policies from SwissFin to SwissSure. We would like to welcome Ms Alaysha Schulz to our team. She started with us on the 1st October and is responsible for the office management. Mrs Wanda Scott will be focussing more on immigration matters and will look after all our English speaking GolfEstateSure clients and English clients with surname from F-Z. 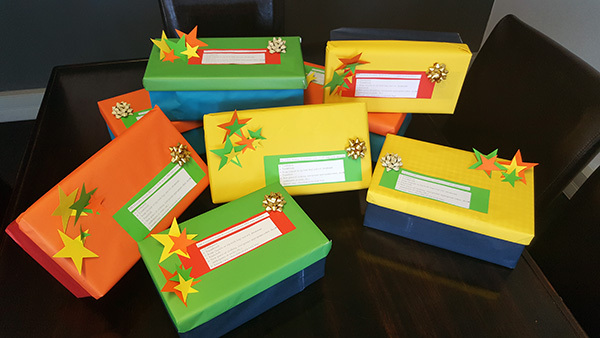 As part of the Nelson Mandela legacy “67 minutes” we created and filled 8 shoe boxes called Xmas box (each employee one box) for the people who are infected with TB and are treated at the Brooklyn Chest TB Hospital in Ysterplaat. Please note that we are open on normal work days Monday – Thursdays from 08.30 to 16.30, Fridays 08.30 – 16.00. Our offices will be closed from the 23rd December 2016 from 12.00 until the 2rd January 2017. We re-open from 3rd January 2017.